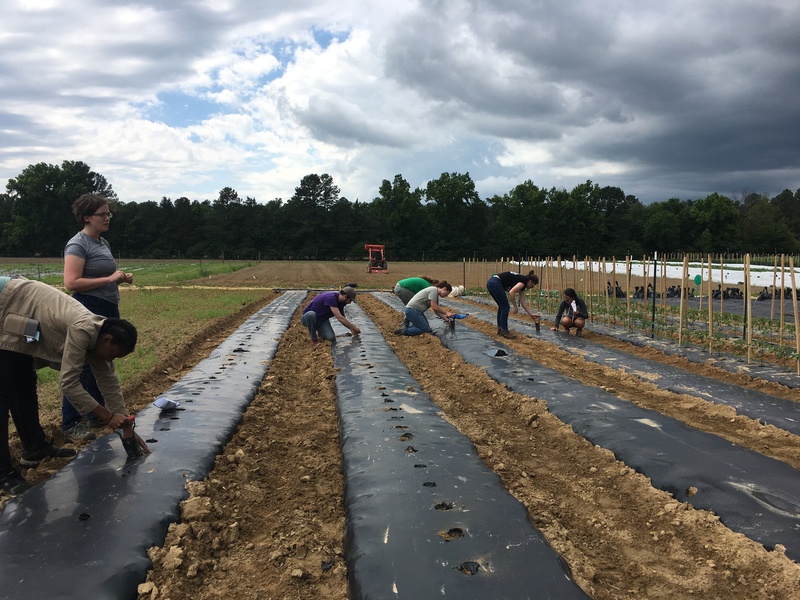 In June, I arrived in Richmond for the Eco-Stewards Program, a week of exploring the James River watershed and its organic farms and intentional Christian communities. I wasn’t really sure what impacts the program would have on me, but it didn’t take long to start having meaningful conversations and experiences that would have lasting changes, especially on my diet. During our week, we were offered mostly vegetarian options and I found I enjoyed filling my sandwiches with sautéed kale, pea sprouts, and other greens instead of meat. I talked with many people, both fellow Eco-Stewards and our guest speakers, who currently or at some point in their lives had been vegetarian or vegan. We talked about their faith and their motivation for their food choices. 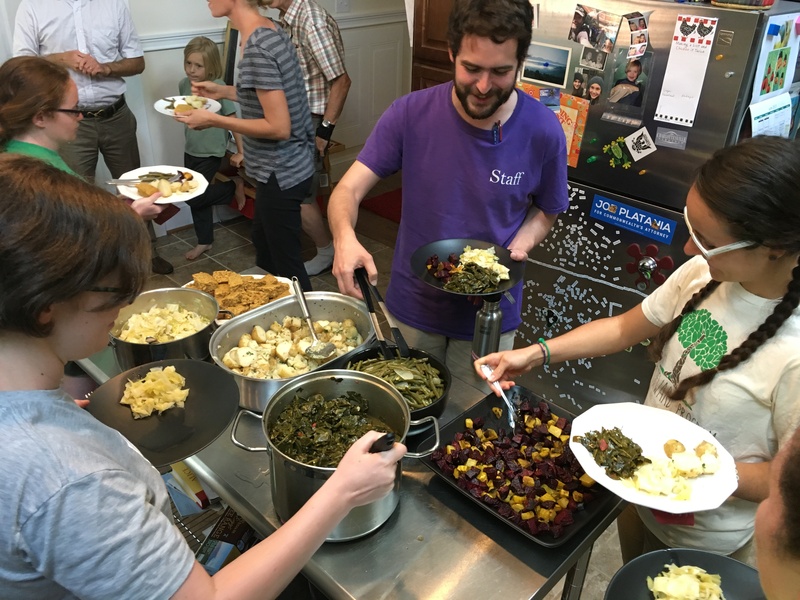 The Eco-Stewards Richmond program featured vegetarian meals made with locally-grown produce and included an opportunity to talk and help farmers at Shalom Farms in Richmond. After Eco-Stewards, I decided to become a vegetarian myself. It was not a random decision. 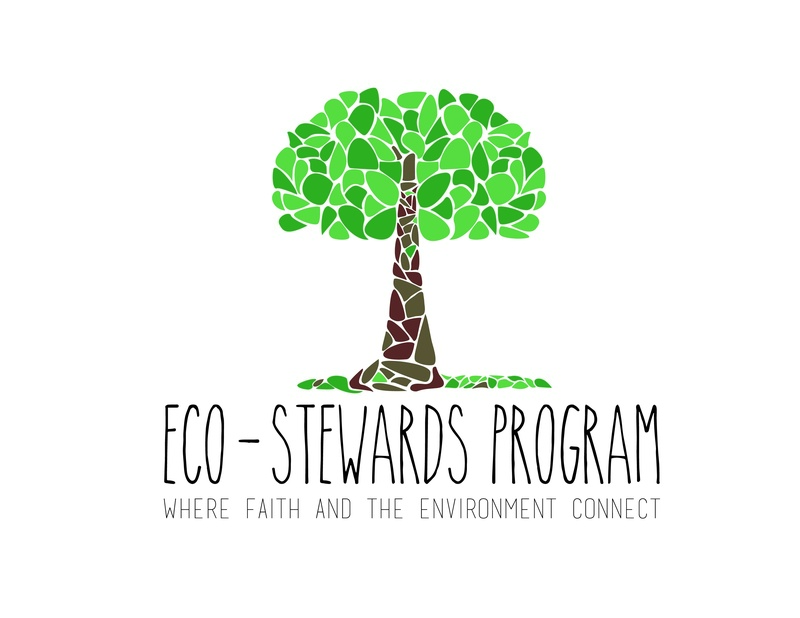 In fact, it was something I had thought about for a while before Eco-Stewards, but never found any reason in my life to fully commit to it. 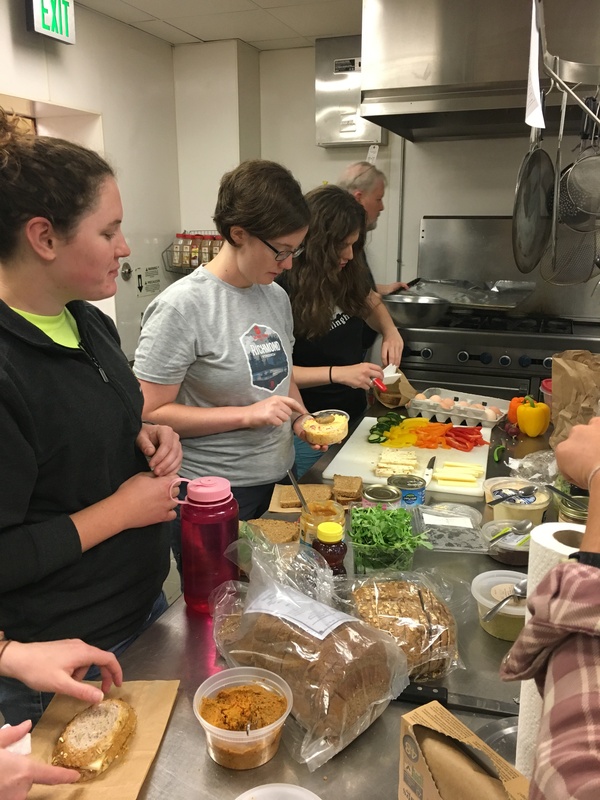 Even before June, I often ate meat-free meals and many times, I jokingly referred to myself as a “vegetarian with commitment issues.” After discussions at Eco-Stewards and some personal reflection, I was compelled to become a vegetarian by thinking about how to make my ecological footprint smaller as a way to better care for God’s creation. Eating a large amount of meat is more harmful to the earth because raising cows for beef, one of the most highly-consumed meats in our country, uses more energy and resources than growing crops. Pork and poultry use less resources than beef, but still significantly more than plant-based agriculture. If it takes 10 pounds of plant feed to produce 1 pound of beef, why not save the 10 pounds of plants for human consumption and feed more people? By eating the plants that would be used to feed cows, pigs, chickens and other animals, instead of eating the animals, we could grow more food for everyone on this Earth, thus showing better care for our neighbors. In addition, cows produce a large amount of methane gas which is a contributor to global warming. Therefore, eating meat does cause you to have a larger carbon footprint. These facts also helped to motivate my decision to cut meat out of my diet. I often get questions about my eating habits, but I enjoy the questions because it opens the door to good conversations. I can share how I feel called to care for creation and I want to have less of an impact on the earth which I choose to do by not eating meat. Additionally, I can talk about how caring for creation is key to my theology. These conversations open a lot of doors to other topics and meaningful discussions about faith and food, both of which people typically have a lot of thoughts on. Unfortunately, many people are disconnected from their food (both in what they are eating and the ways it was grown/raised) and I, personally, would like to be much more connected to the food I eat than I currently am. I work at a camp where most of my meals are made for me. While this is convenient, I have little control over what I eat, and many of my vegetarian options are made from processed foods. Still, being vegetarian still allows me to have more awareness about my food, even while having little control over what is on my plate. 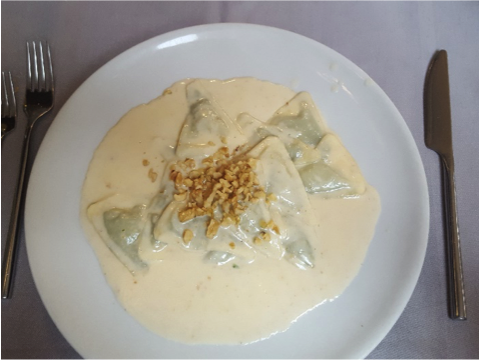 Gnocci with a garlic and cream sauce. Being a vegetarian has helped me to expand my eating options because I can be more creative with what I eat. In some ways I can view it as limiting, but it is also opening my eyes to new foods and recipes! I read a devotional recently which discussed looking at the Advent season as a road ahead of us. In the road are boulders and potholes. The boulders are things that we have done that we shouldn’t have, and the potholes are the opposite, places where we have fallen short. To prepare ourselves for the coming of Christ on Christmas, we need to clear that road by filling in the potholes and moving the boulders. We must prepare our hearts for His coming through asking to be forgiven for our wrongdoings and changing our actions. In terms of environmental justice and food justice, there are a lot of potholes and boulders along my road this Advent season. However, through not eating meat, I am filling in those potholes just a little. It is a good step for me on my faith journey and my journey to lessen my carbon footprint. This Advent season, if you feel like your shortcomings are a result of not caring for creation, reducing your meat consumption is a good place to start making changes. 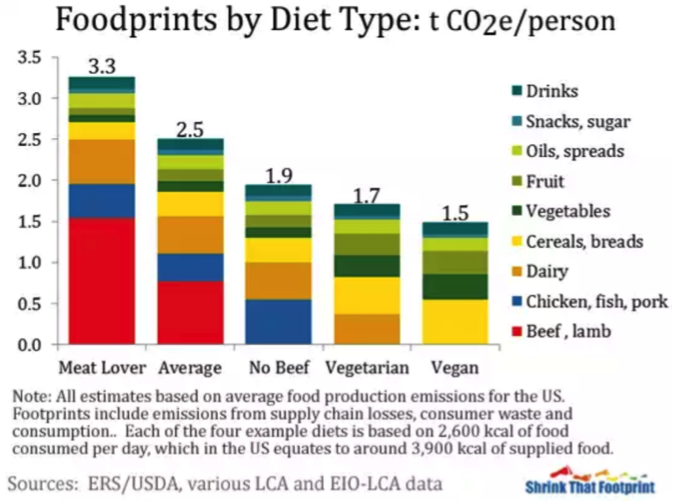 It doesn’t have to be to the degree of complete vegetarianism; there is a lot of middle ground and eating more vegetables and less meat can cut your ecological footprint significantly. There are a lot of facts and figures on the subject. For more information and ideas for making diet changes, check out Green Eatz. In addition, if you are curious about the size of your carbon footprint, check out this online calculator. I was very surprised after learning my own footprint, and I am inspired about how to fill in more of the potholes in my road during Advent. Laura Haney is a Virginia native who until recently has always lived in the James River Watershed and grew up loving the land within it. Currently, she works and resides at Camp Grady Spruce in Possum Kingdom Lake, Texas where she leads groups of 5th graders in outdoor education programs. Following in the model of Eco-Stewards, she teaches children about the natural world so they may see the beauty of it and learn to care for it well. Her Christian faith strongly motivates her love for the outdoors and the work she does each day with children.